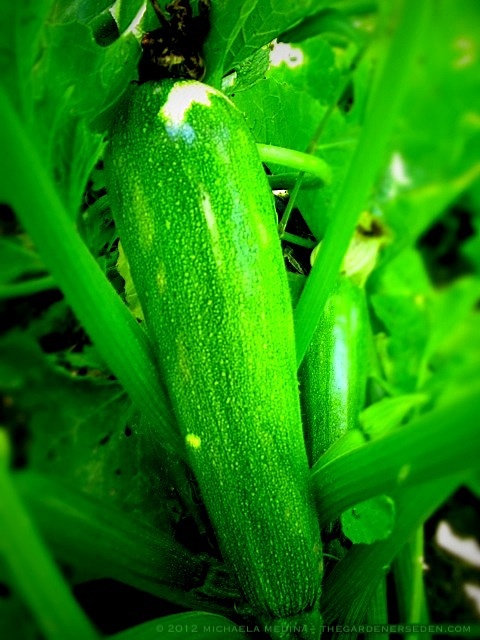 Midsummer is a wonderful time in the vegetable garden. 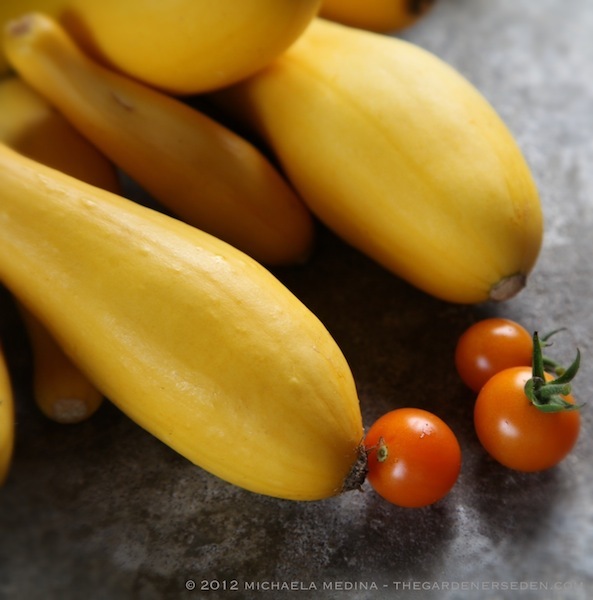 Daily harvests of squash, zucchini, beans, tomatoes, salad greens, herbs & fruit keep my pantry & kitchen well stocked with fresh ingredients for home-cooked meals. But the dog days can be tough on gardens, and gardeners as well. Scorching heat, high humidity and a lack of rain have made this growing season tougher than usual for many farmers and home gardeners. 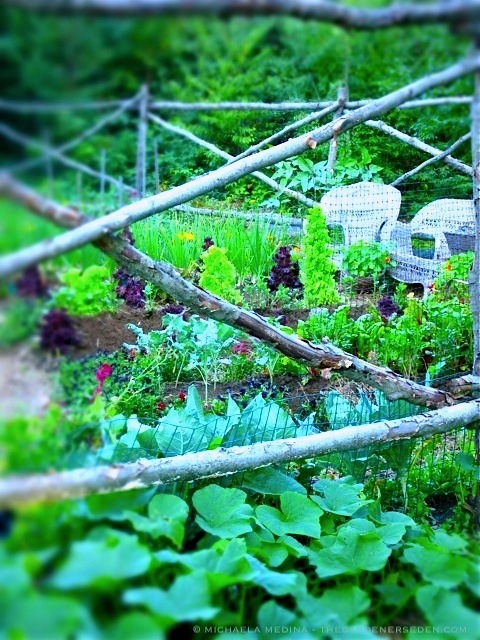 Although Vermont has technically avoided the historic drought currently ravaging crops throughout North America, keeping gardens watered and healthy has been a real challenge —even in the Green Mountain State. Thankfully, rainfall has recently increased for those of us in New England; easing the burden on our wells and watering arms. 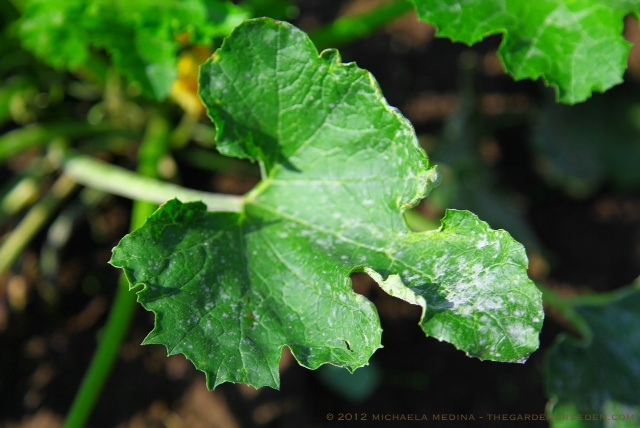 Powdery Mildew (Pictured on the Leaves of the Summer Squash Above) is Common Both in Mid to Late Summer Potagers and Ornamental Gardens. Easy-to-Control When Caught Early, Spray Applications of Baking Soda Solution Will Quickly Put a Stop to the Spread of Powdery Mildew. Neem Oil Can Also be Used Both Preventatively and as Effective Rx. 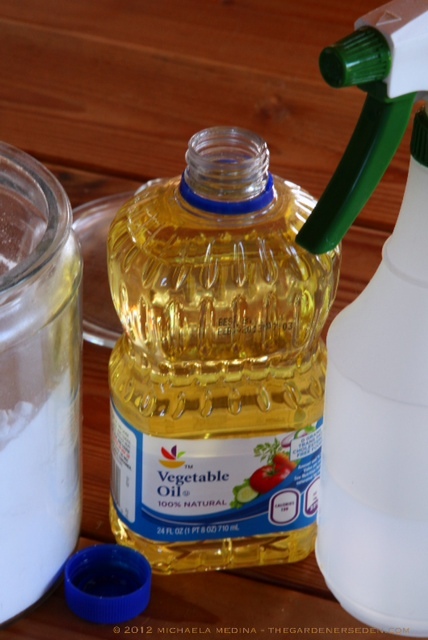 Method: Mix 1 tablespoon of baking soda and 1 tablespoon of vegetable oil with 1 cup of warm water until dissolved. 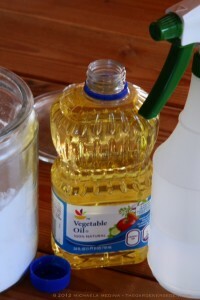 Add the mixture to the remaining warm water and pour as needed into a spray bottle. 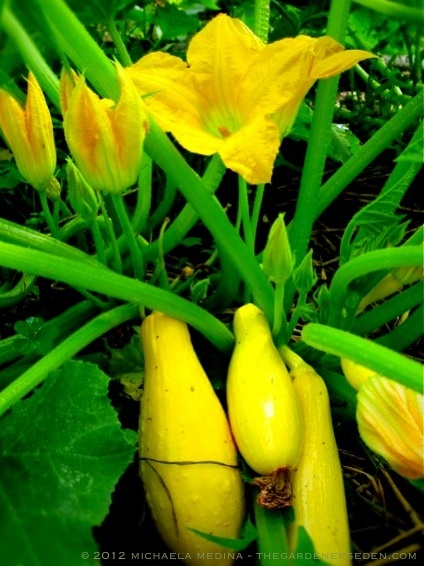 Apply to all areas of susceptible crops when powdery mildew is first noticed, and continue applications once a week. This solution may also be used preventatively on susceptible crops during hot, humid weather (particularly when there is a lack of rain). Be sure to spray both the underside as well at the surface of foliage on affected plants and nearby crops once every one to two weeks while hot, humid conditions persist. *divide or multiple this recipe evenly to suit your needs. 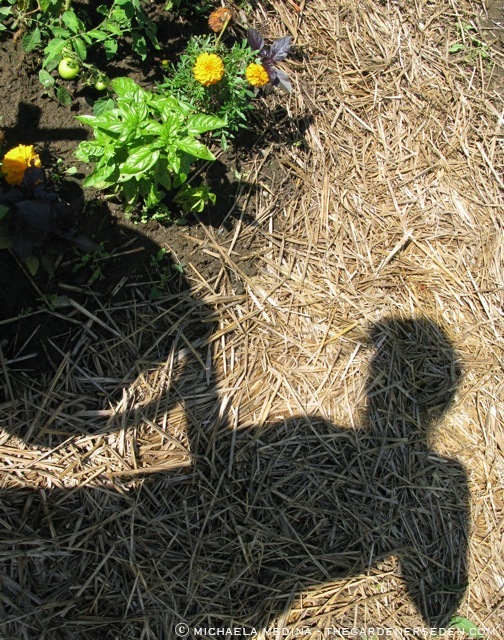 § 2 Responses to Notes from the Mid-Summer Potager & A Home Remedy for Powdery Mildew …"
You are currently reading Notes from the Mid-Summer Potager & A Home Remedy for Powdery Mildew … at The Gardener's Eden.